Adult workers of Vespula vulgaris measure about 12–17 mm (0.47–0.67 in) from head to abdomen, and have a mass of 84.1±19.0 mg, whereas the queen is about 20 mm (0.79 in) long. It has aposematic colors of black and yellow; yellow pro-notal bands which are almost parallel to each other and black dots and rings on its abdomen. 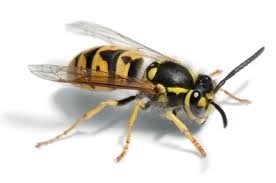 The Vespula vulgaris queens and females appear very similar to the German wasps (or European wasp, Vespula germanica) except when they are seen head on, the Vespula vulgaris face lacks the three black dots of Vespula germanica. Instead, each has only one black mark on its clypeus which is usually anchor-shaped or a dagger-shaped. However, sometimes the identification of this species might be difficult because this black mark on its clypeus can sometimes appear broken, making it again, look extremely similar to Vespula germanica. Even more difficult to distinguish between species are the males. There are very few distinctions between the male Vespula vulgaris and Vespula germanica. Almost undetectable by naked eye, the only confident identification of Vespula vulgaris males would be through investigating their genitalia. They have distinct aedeagus tip shapes and lateral processes. Treating Wasps nests can be a little tricky on occasions . Technicians must wear the appropriate clothing to avoid being stung. We offer a single treatment solution. Injecting the nest with an insecticide. Treating the wasps nest in the precise area wasps are entering is important. Wasps will carry the insecticide further into the nest when entering killing not only the worker but there Queen also. Removing the problem within 24 hours. Our staff are highly trained for the job. 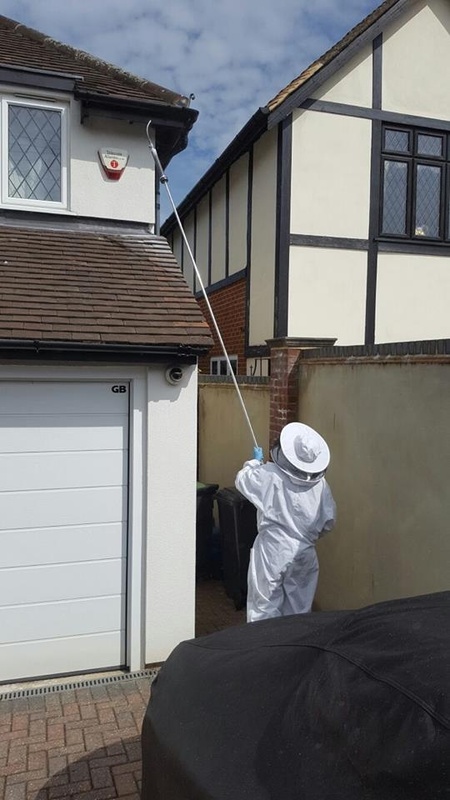 They carry out hundreds of wasp removal treatments year on year. All products used are for professional use only. 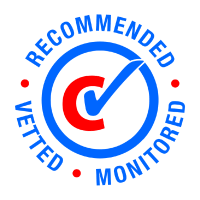 DO YOU NEED A WASPS NEST REMOVED?